December 12, 13, 14, 15 & 16, 1967. FOR a long time Jean Porter and Patrick Johnson of the Wick Theatre Company have had an urge to present the vintage Coward play Private Lives. At last they are doing it and it will be given at the Barn Theatre, Southwick, from December 12-16 at 7.45. Jean is to play Amanda and Patrick Johnson is directing, with David Creedon as Elyot, Margaret Ockenden as Sybil, Ray Hopper as Victor and Monica Joyce as Louise, the French maid. A special appreciation of the Coward style is required to pt him over and a special understanding of his mordant wit. Patrick Johnson is certainly a director who has these essential elements. Noël Coward’s matrimonial mix-up Private Lives, receives diverting treatment at the hands of the Wick Theatre Company at the Barn Hall, Southwick, this week. Since Tuesday audiences have been thoroughly enjoying this frolic, which is Coward at just about his best, and they will be doing so tonight [Friday] and tomorrow. The play is set nearly 40 years ago, in France, and abounds in wit and period polish. The fact that there are only five characters in no way detracts from its solid entertainment value. Trouble starts for Elyot Chase and his second wife, Sybil, on the first evening of their honeymoon, for the honeymoon couple in the adjoining suite turn out to be his first wife, fiery Amanda, and her second husband, Victor. Such a situation, naturally, is fraught with peril for all concerned, and there is a great deal of heated talk, belated ‘making it up’, and sheer knockabout fun before the impossible situation finally resolves itself. Patrick Johnson as producer, has shown wise discernment in casting Jean Porter as Amanda and Ray Hopper as Victor, and Margaret Ockenden as Sybil and David Creedon as Elyot. Each brings a gay realism to rôles far removed from reality – no mean task – and the contrasting temperaments are boldly etched. For sheer sustained acting at high pressure Jean Porter undoubtedly comes up trumps, but this is not to say that the other characters do not make strong contributions to the play’s overall impact. Each, in its way, fits admirably into the domestic jigsaw puzzle. Monica Joyce, as Louise, the maid, makes the most of her brief opportunities, with a nice turn of the Gaelic tongue. The scenes have been designed to best effect by Andrew Barnicott, with decor by Irene Sweet, and they were constructed by Ian Leavey. Angela Bolton is assisting producer, and helping backstage in various ways are Barrie Bowen, Ian Elliott, Tom Banister, Bob Baker, Pamela Stevenson, Frances Thorne, Margaret Perrett, Terry Mase and Frank Hurrell. 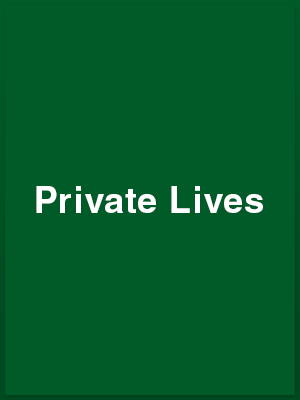 NOEL COWARD’S Private Lives which the Wick Theatre Company are currently presenting at the Barn Theatre, Southwick, is probably his best play and certainly it is one of the more difficult of them. It is so dependent on atmosphere. Unless the slick, superficial worldly-wise flavour is given to the lines, the whole of the sparkle goes out of it. It is a champagne cocktail and must be presented as such. In this Wick Theatre Company on their first night did pretty well after a slightly slow start. The celebrated fight scene in Act II is done better than I have ever seen it done and I mean ever. For this, and for the cracking pace of the play throughout congratulations go to Patrick Johnson, who directed. Both David Creedon and Jean Porter as the main protagonists Elyot and Amanda romped through their rôles, with the rapid changes of mood and the sweet unreason of the plot. As their respective wife and husband Sybil and Victor, Margaret Ockenden and Raymond Hopper are not quite so happily cast. Margaret Ockenden, I feel, tries that little bit too hard to be the little girl in need of protection, while Raymond Hopper does not make Victor the crashing bore that I feel he should be. But it is Elyot and Amanda’s play, and the whole thing goes merrily on to the delight of the audience and it is all in the best Coward tradition. Credit must be given to Andrew Barnicott for design, Irene Sweet for decor, and to Ian Leavey for the set construction; and to the wardrobe mistress Pamela Stevenson and costumier Nikki Leroy [sic]. In a play of this type in which everyone is wealthy scenery and costume have great importance in creating the right setting for the plot. In this production these things are right. There will be final performances tonight and tomorrow at 7.45 p.m.